It's the metro dubbed 'Australia's biggest public transport project'. And it's on the move. 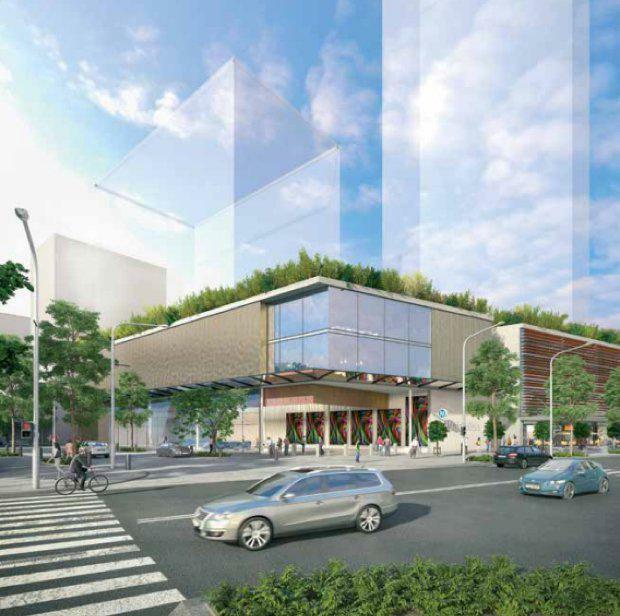 As the metro tunnel project reaches its next stages, a seven-team consortium was named to design six of seven new train stations that will become part of the greater metro line. Stage one, covering the north-west section from Rouse Hill to Chatswood, is due to be operational in 2019. 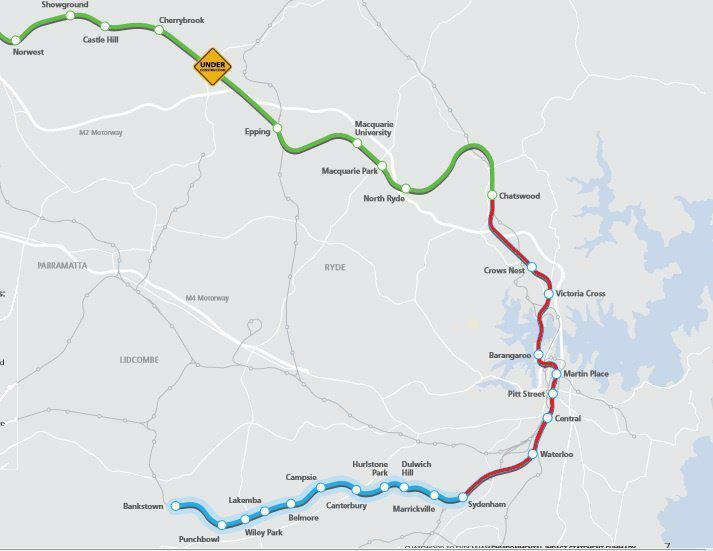 Stage two will extend underneath Sydney Harbour, through the CBD to Sydenham, where it will be connected with the existing Bankstown line between Sydenham and Bankstown. The consortium consists of Foster + Partners, Architectus, Arcadis, Mott McDonald, Robert Bird Group, WT Partnership and McKenzie Group Consulting. As a group, they will design Crows Nest station, Victoria Cross station, Barangaroo station, Martin Place station, Pitt Street station and Waterloo station. The metro will be new 21st century standalone railway that will comprise of 31 metro stations and more than 65 kilometres of new metro rail, revolutionising the way Sydney travels. The services that are expected to start in the first half of 2019 will use Sydney’s new generation of fully–automated metro trains. The metro rail will run under Sydney Harbour, through new underground stations in the CBD and beyond to the south west. According to Transport for Sydney, customers won’t need a timetable when Sydney Metro opens – "they’ll just turn up and go". 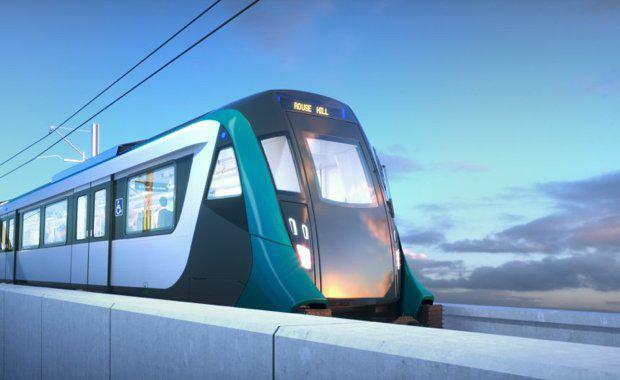 When Sydney Metro is extended into the CBD and beyond in 2024, there will be ultimate capacity for a metro train every two minutes in each direction under the city, servicing around 40,000 customers per hour. The $12.5 billion project's 15.5-kilometre Sydney Metro City section reportedly received planning approval earlier this year and is expected to begin services in 2024. Transport for Sydney's information revealed that the consortium will focus many of their station designs on an 'over station development' model, which will be handy for allowing possible future over station development. 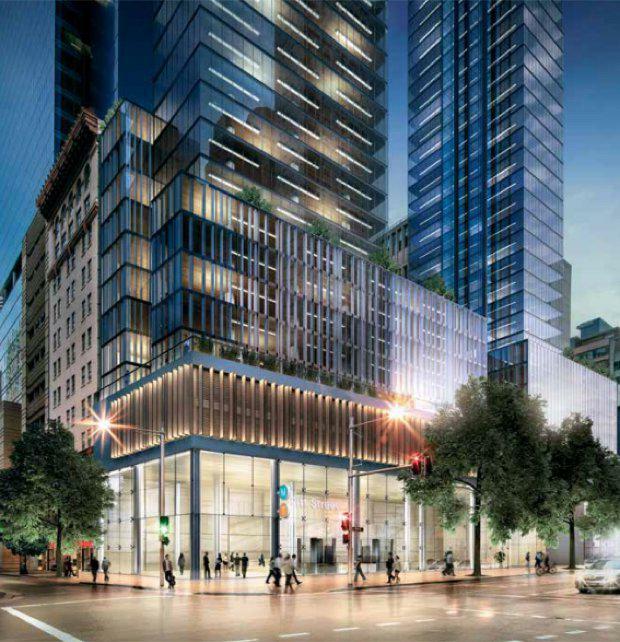 This may include steel and concrete structural elements, space for lift wells, access, parking and building services. Crows Nest Station will provide new metro rail access to the Crows Nest residential area and will serve people within walking and cycling distance. It will improve travel to local schools, businesses and Crows Nest village. The station will create a new transport focus on the southern side of the St Leonards specialised centre which supports the St Leonards southern gateway to commercial and mixed–use activities. The Crows Nest construction site will function as two separate construction zones split by Hume Street. The station excavation will cover the majority of the site, with a temporary street–level working platform. 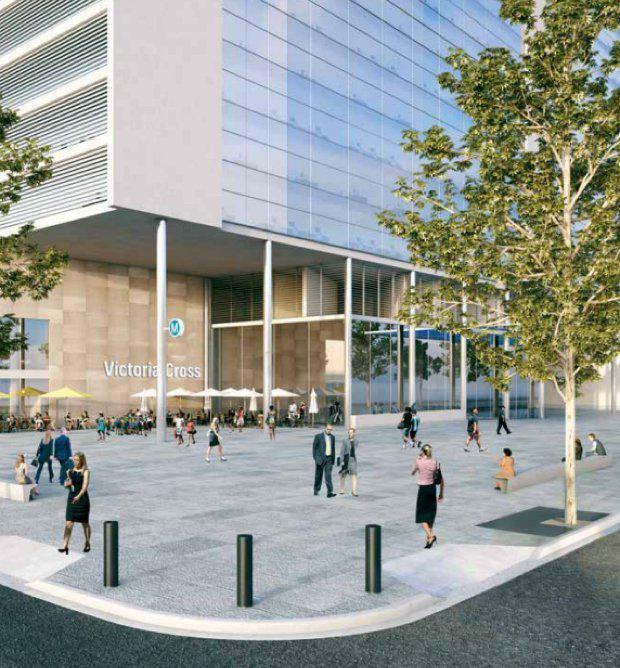 Victoria Cross Station will support the continued growth of the North Sydney CBD and enhance Sydney’s status as a global city. It will also improve the customer experience at the existing North Sydney Station by relieving demand in peak times. Main features and traffic arrangements include new bike parking near the corner of Miller and Berry streets, new kiss–and–ride bays on Berry Street and wayfinding signage and Sydney Metro information within the North Sydney CBD. Enhancement of pedestrian infrastructure around the station will be investigated further in consultation with Roads and Maritime Services and North Sydney Council. 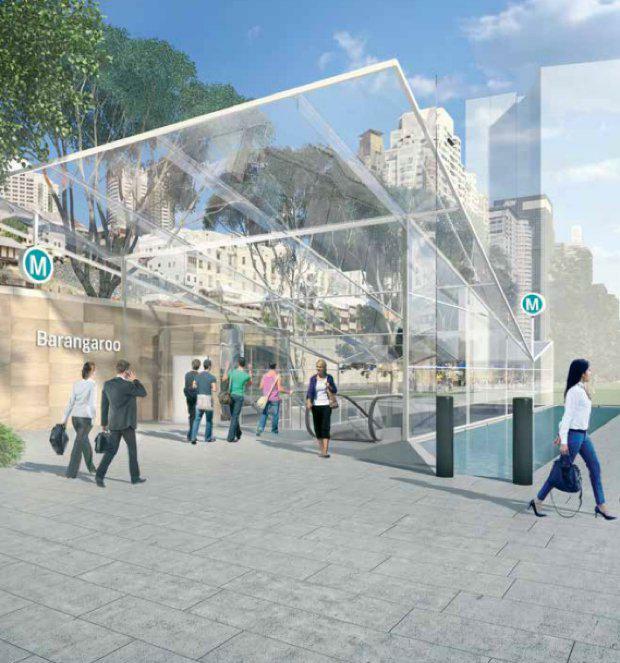 Barangaroo Station will improve pedestrian connections to the northern part of the CBD, The Rocks and Walsh Bay and alleviate congestion at Wynyard and Martin Place Stations. The station at Barangaroo will improve access to the Walsh Bay Arts and Culture precinct and the residential areas at Millers Point and Walsh Bay. It will also provide easy access to the new public, residential, commercial and entertainment areas at Barangaroo and the new ferry hub. Transport for NSW is working in consultation with Barangaroo Delivery Authority to deliver Barangaroo Station. 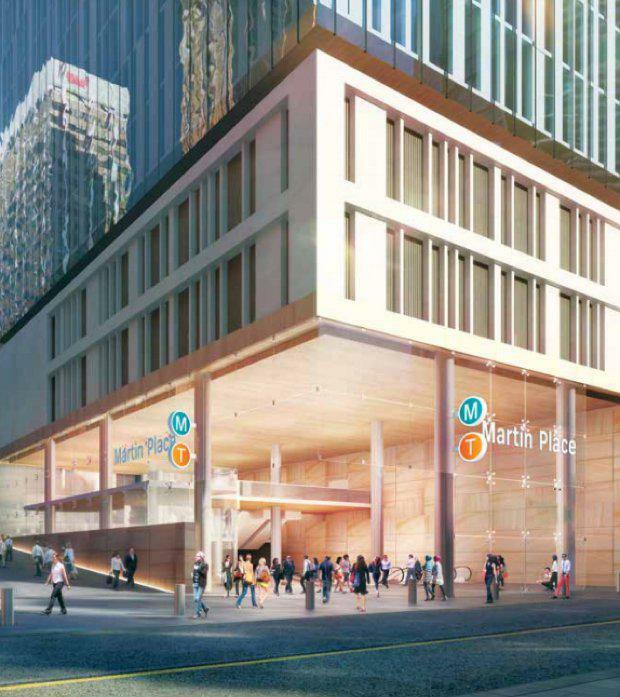 Martin Place Station will be integrated with the existing Martin Place Station and serve Sydney’s high–end commercial and financial district, the Macquarie Street precinct and the Pitt Street retail zone. The station will provide efficient interchange in the CBD through convenient, direct connections to the T4 Eastern Suburbs and Illawarra Line platforms and integrate with the public domain and transport access improvements. Pitt Street Station will be strategically located at the junction of Sydney’s southern CBD and the Midtown retail precinct close to mixed employment, residential, entertainment, cultural and events–based activities within the southern Sydney CBD and Chinatown. Pitt Street's metro station will serve the retail areas on George and Pitt streets, the civic and entertainment uses on George Street and the emerging southern Sydney CBD residential developments between Park Street and Belmore Park. The station will also provide relief to Town Hall Station, and allow interchange onto other modes of public transport including light rail and buses. 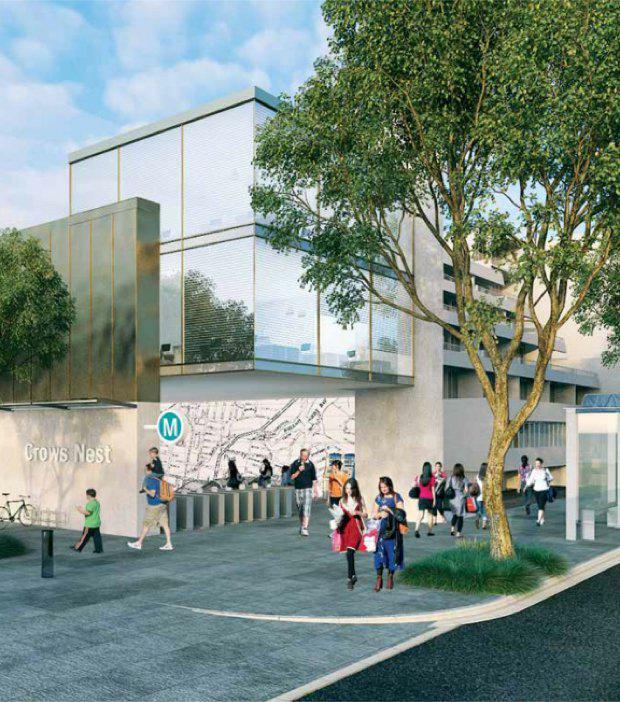 Waterloo's metro station will help revitalise the Waterloo precinct and support the extension of the CBD. It will also provide a high quality connection with bus services along Botany Road, and provide additional connectivity to Australian Technology Park and Redfern Station. The Waterloo station will also contribute to the NSW Government objective to transform Waterloo and Redfern. The metro station will also allow further development and expansion of the Global Economic Corridor between the Sydney CBD and Green Square.